Butlers Bingo is a great stop off for those of you familiar with the online bingo world. They offer a generous bonus for first time depositors and a growing bingo and casino scene. 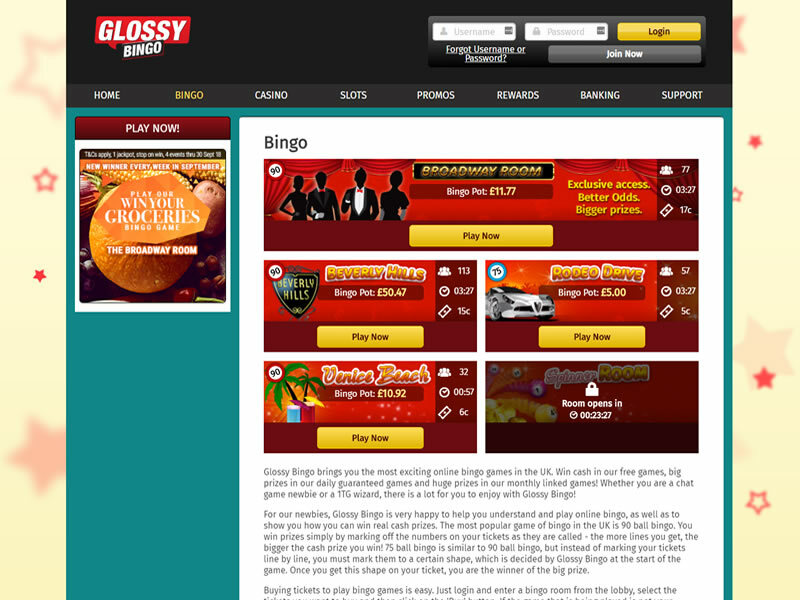 Glossy Bingo launched in January 2013 and is the sister site of Butlers Bingo, Rosy Bingo, Dotty Bingo, Bingo Diamond and Casino Of Dreams. 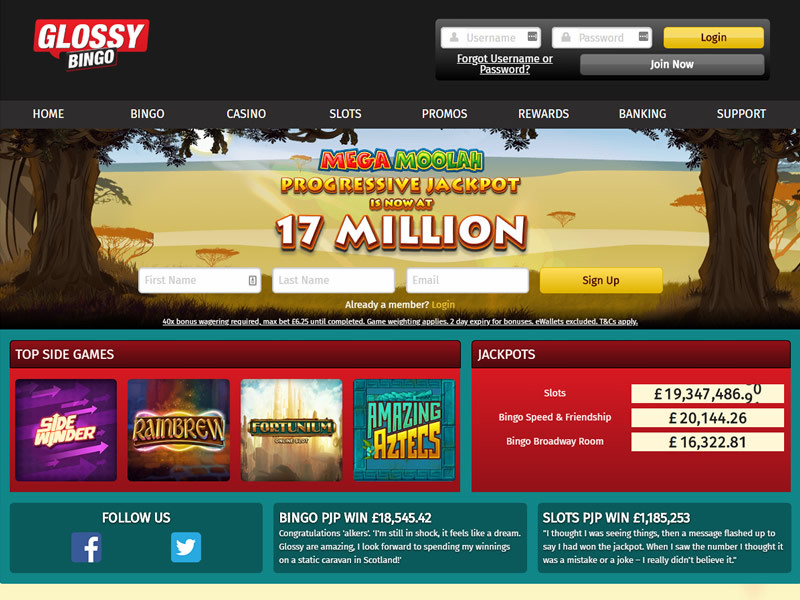 It is powered by the popular Microgaming software and is very nicely designed and easy to navigate. 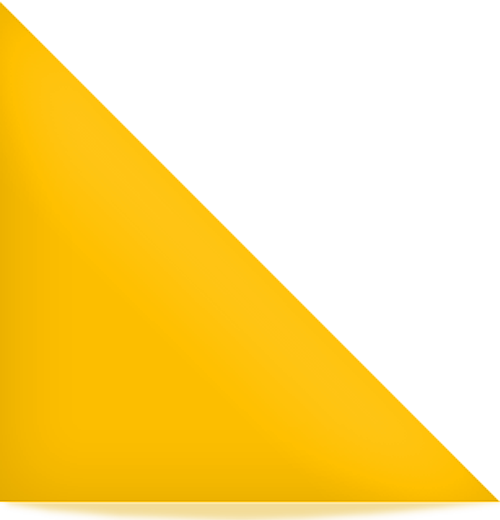 The site’s theme is a magazine-style, it’s fun, friendly, bright, and welcoming. Glossy’s mascot is called Glenda and, although you won’t tend to see any pictures of her dotted around the website, she’s referred to in email newsletters and promotions on a regular basis. 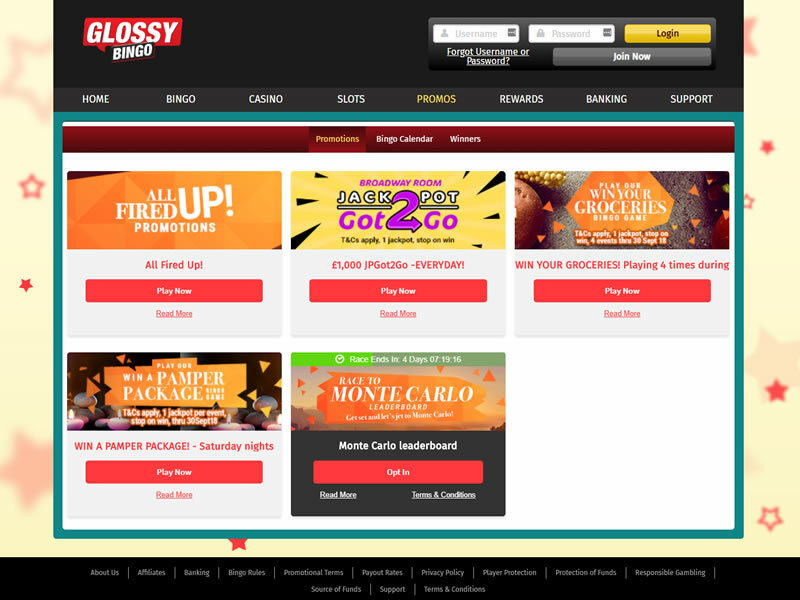 Glossy Bingo is all about creating a sense of community and giving its players a place to enjoy the social elements of bingo and feel valued as individuals, as well playing for big prizes. With plenty of game variations available thanks to the Microgaming software, and several ongoing promos and events to keep you engaged, this site has all the features in place to be a star. Games are varied at Glossy. There is a great selection of those fun Chat Games where you can make new friends and also catch up on all the gossip with others. Games are hosted and are a great laugh when you play. There is also a selection of 75 and 90 ball games to play besides some fantastic jackpot and progressive games too, simply click on the one you’re interested in to join. Slots enthusiasts are not left out in the cold at Glossy Bingo as there are some of the very latest games for you to enjoy such as The Dark Knight Rises, besides other video slots and classic games, and of course those fantastic progressives where some real life-altering cash can be won. Casino players can enjoy a variety of instants, table and card games with their variation. 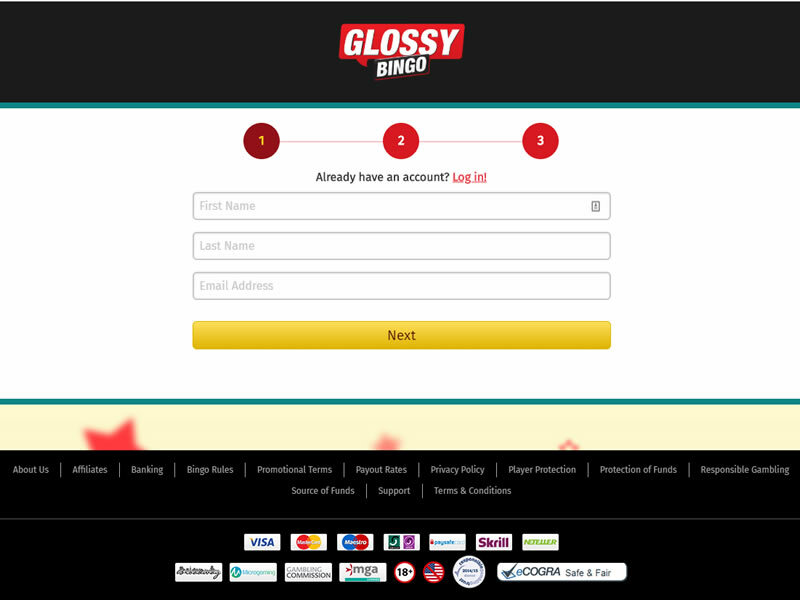 Join Glossy Bingo and get a £30 bonus!